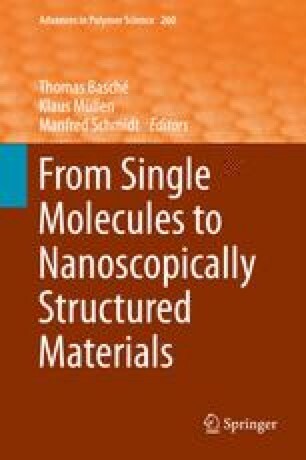 This chapter deals with the mechanical properties of single polymer chains, aggregates, and supramolecular complexes. The topics discussed cover a broad range from fundamental statistical mechanics of the equilibrium elastic properties of single polymer chains to details of the behavior of binding pockets in biomolecular assemblies as observed by force spectroscopy. The first section treats the equilibrium mechanical properties of single polymer chains in various environments, investigated via extensive simulations employing coarse-grained models that have proven extremely successful in many branches of polymer physics, namely the bond-fluctuation model and the self-avoiding walk model. Apart from the phase behavior and the adsorption properties, the mechanical pulling of a polymer chain from a surface has also been investigated. Molecular dynamics (MD) simulations of spring-bead models and analytical theory are used to describe the stochastic dynamics of the system. After these sections treating fundamental aspects of mechanical adsorption and translocation of polymer chains, we consider the adhesion of specific molecular systems to form networks of hydrogen bonds. In particular, we discuss all-atom force probe MD simulations of calixarene catenane systems, which have recently been synthesized. These simulations have been performed in close collaboration with corresponding experimental investigations utilizing atomic force spectroscopy (AFS) on the same systems, which will be reviewed together with other experimental determinations of the mechanical properties of supramolecular assemblies. Although these investigations can give insight into the reversible dynamics of hydrogen-bond networks, AFS can also be used in order to determine chemical equilibria under the impact of mechanical forces. Corresponding studies of this type are reviewed in the last section.